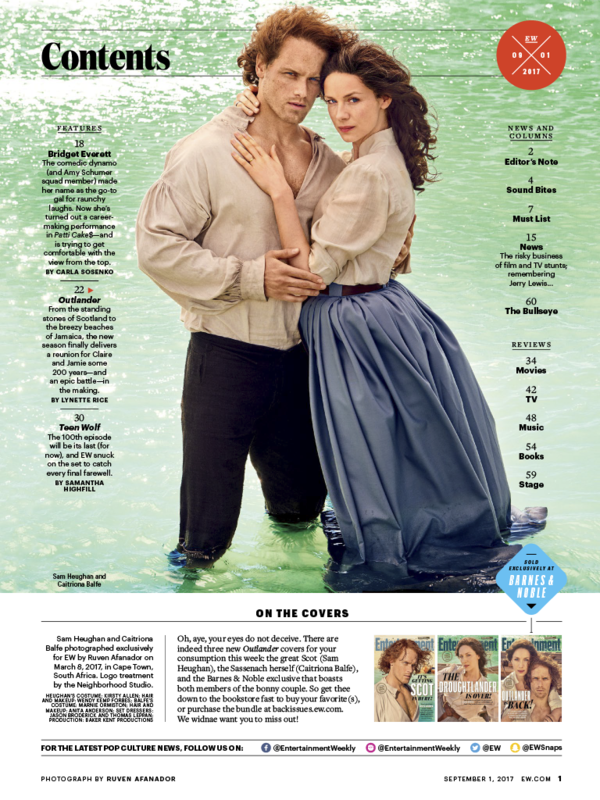 If you have not run out to grab a copy (two stores I went to did not have it out yet) of the new Entertainment Weekly in a store or if it has not arrived in your mailbox (mine has not), you might be curious as to what photos made the inside of the magazine. 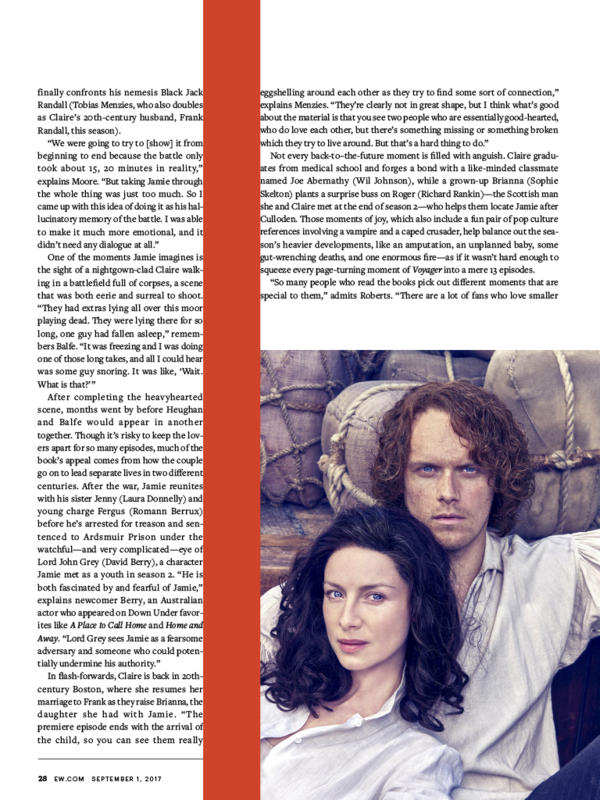 The cover feature is all about season three of Outlander, and of course, there are interviews with all the important parties involved. 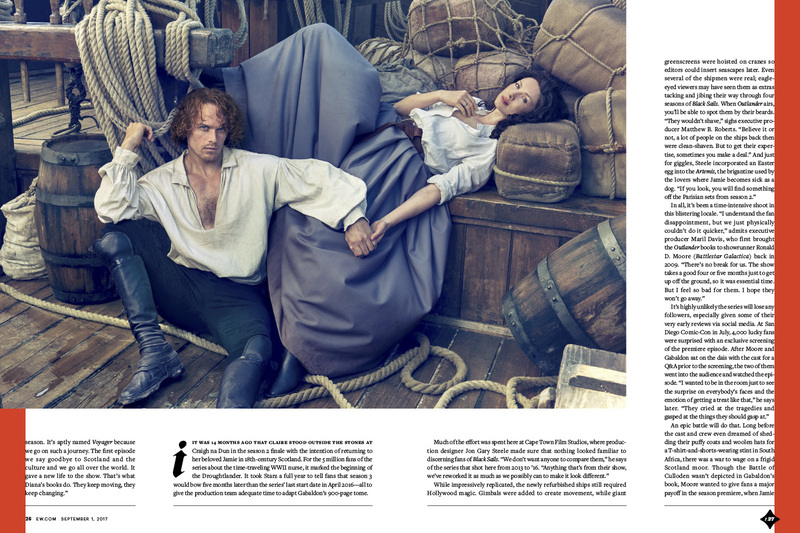 Sam Heughan and Caitriona Balfe in character grace the pages, but new photos also are in the magazine. 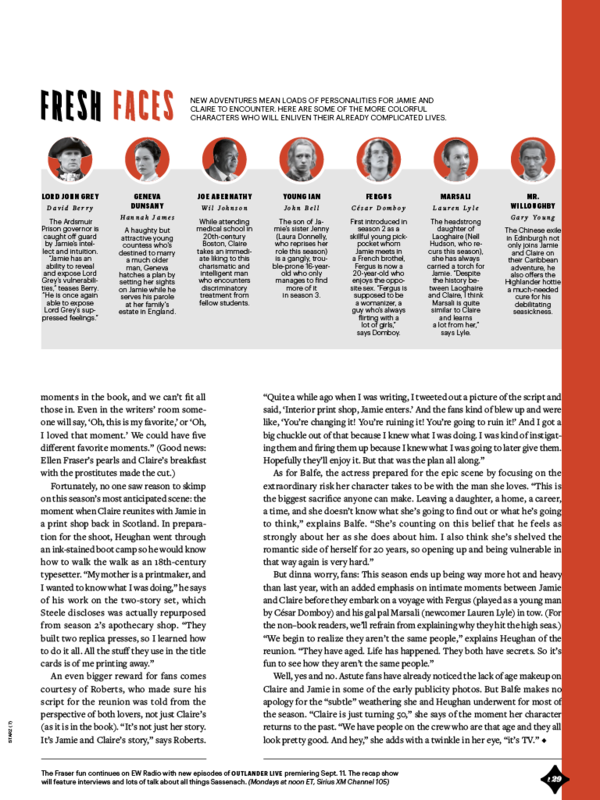 Take a look, and please do run out and find a copy of the magazine. 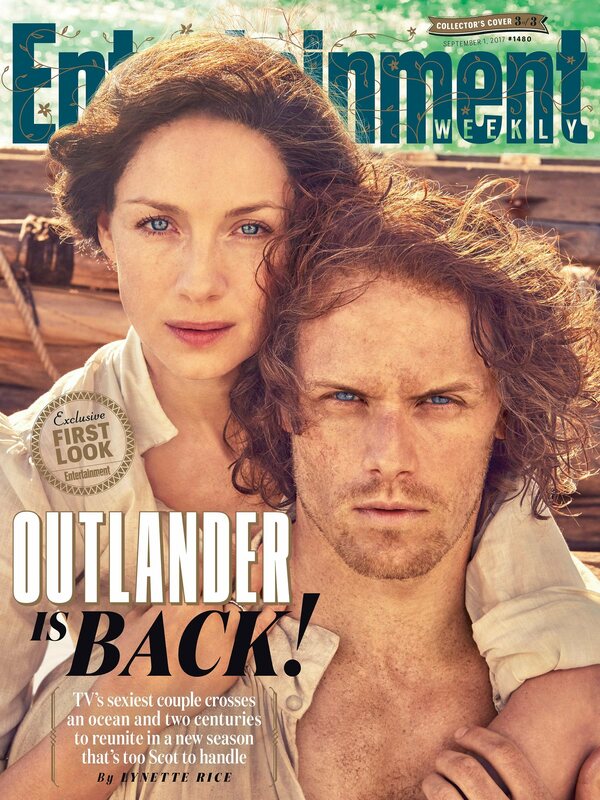 This entry was posted in Caitriona Balfe, Interviews, Production Photos, Sam Heughan and tagged Caitriona Balfe, EW, Interviews, Magazine Mentions, Sam Heughan, Season Three by Sarah Ksiazek. Bookmark the permalink.